sailboat. : Bomb Cosmetics Ice Cream Body Washes & MeMeMe Summer Brights Nail Polish. Bomb Cosmetics Ice Cream Body Washes & MeMeMe Summer Brights Nail Polish. Find me a Gift is one of those websites that you can get lost in for hours looking at all the items they have to offer & I’m pretty sure that if it’s a friends birthday soon or you just want to buy someone a gift for no reason (we’d all like that sometimes, right?!) you’ll find something suitable here. And no, I wasn’t paid to say that. I genuinely love this website, I’ve already purchased these because I’m one of those people that has a million keys on their keyring and stands at the front door for ages figuring out which key is the right one & I’ve already spotted some items that will make perfect presents for friends and family! I was contacted by the PR company for Find me a Gift & informed about the new range of fashion & beauty products available on the website which I hadn’t been aware of previously. I was invited to have a look around & see if anything caught my eye & in typical Jennie fashion, lots of things did! One of my close friends loves cosmetics & her birthday is a couple of months away and unfortunately we no longer live near each other so I just know that I’ll be purchasing this make up bundle for her & making use of the gift wrap service available! She’ll love it & honestly, I’ll be tempted to get one for myself too because that’s how buying presents works right? One for my friend & one for me! 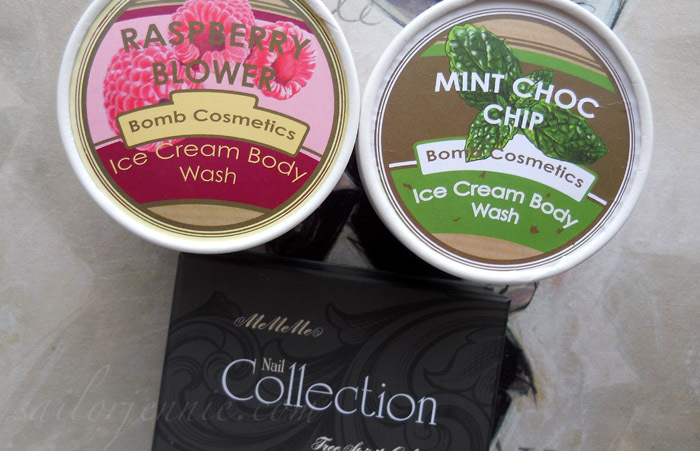 The first items that caught my eye were these ice cream body washes by Bomb Cosmetics. I’ve tried a couple of items from Bomb in the past & always loved them. I remember having some square soaps from them with a little sponge on the top when I was younger & I thought they were amazing! They have a few different scents but the raspberry & mint choc chip stood out to me the most. They both smell incredible in their cute little ice cream tub shaped boxes & the product inside certainly doesn’t disappoint either. I find them both to be incredibly gentle & moisturising on the skin, they lather up beautifully and the scent fills the entire bathroom which I love! The scent doesn’t last for a particularly long time on the skin once you’re out of the bath or shower which is a plus for me because I want to smell like my perfume & not like my shower gel. The packaging is adorable & would absolutely make a perfect gift. It felt a little bit like Christmas when I was opening the box & I would be thrilled to receive these products on my birthday or at Christmas. Granted the packaging isn’t the most practical thing in the world, it’s not as easy as a squeezy bottle, but the practical factor is always something I’m willing to overlook if the product is worth it. You may not feel the same, so that is something to bear in mind! They're currently on sale for £3.99 each & so while they may not be something you constantly repurchase for yourself, they're perfect as a little pick me up purchase, or for a friend or family member you know would really enjoy them. I know my mum keeps pinching the raspberry one from me! 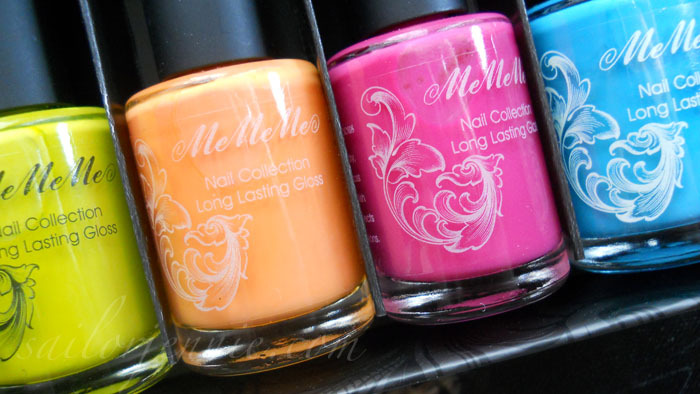 The second item that caught my eye is this MeMeMe Summer Brights nail polish set. You may have seen me sporting skittles coloured nails in a couple of my recent posts and that was because I was testing out these polishes & I have to say, I was pleasantly surprised with the quality! The little box they come in is really nice, it's sturdy & the design makes it look more expensive than it actually is which is brilliant. The colours inside are bright, eye catching and perfect for the summer! So even if the weather is less than ideal, my nails are going to be feeling summery for weeks to come! I usually have a real problem with nail polish peeling off as soon as I've applied it but this doesn't happen with these, I actually had to take all of the colours off with nail polish remover, so that's a sign of a good polish to me! Now I'm no nail blogger so I do apologise that the pictures I've taken of each colour haven't been applied perfectly, I don't have very steady hands at all, but I thought it'd be useful to see how they look on me. Each picture shows 2 coats, with no top coat & my nails were pretty much dry in about 5 minutes. Hello speedy! I'll start with my absolute favourite colour first which is called Vivacious & it's a beautiful hot pink. I'm wearing this on my nails right now & I think it's gorgeous. I like that it's not a bright barbie pink, it's deeper than that but still a statement polish with a lovely creamy & glossy finish. Coming a close second is this stunning bright blueish-turquoise colour called Tenacious & it's definitely photographing more blue than it is in real life. Imagine this colour with a touch more green to it & that's what it looks like in the bottle. This one reminds me of the colour of the sea in some far away tropical location. I'd quite like to be in said tropical location right now but this polish will have to suffice. This is the colour I'll be painting my nails with next. It's very pretty! My third favourite is called Spirited and on my nails this end up looking slightly more peach than it does in the bottle. I was expecting it to be a super bright orange colour but I think I prefer that it leans more towards a peachy orange on me because it makes it slightly more wearable. I think on tanned skin this would look absolutely incredible! My least favourite colour is called Impulsive & it's a bright yellowy lime green. There's no denying that this colour is super striking, it just doesn't really suit my skin tone at all which makes it a little unwearable for me. Again, I can see this looking incredible on someone with a darker skin tone than me & I imagine that it would bring out a tan perfectly! This nail polish set is a total bargain at £14.99 with all the main colours you would need for summer and the beautiful packaging means that it would also make a perfect gift! Have you tried either of these products before? Would you be as thrilled as me to receive them as presents? Do you like gift websites like Find me a Gift & find them useful or can you never seem to find anything suitable on them? I love the peachy colored nail polish! it looks so pretty on your skin tone. I've been meaning to try the mint choc chip body wash for ages now! It looks so yummy! May have to purchase! 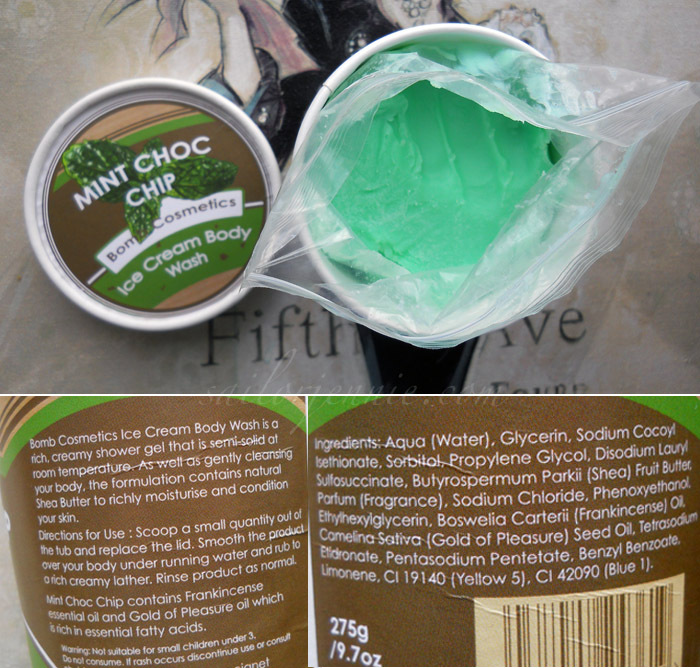 The mint choc chip body wash looks very yummy! 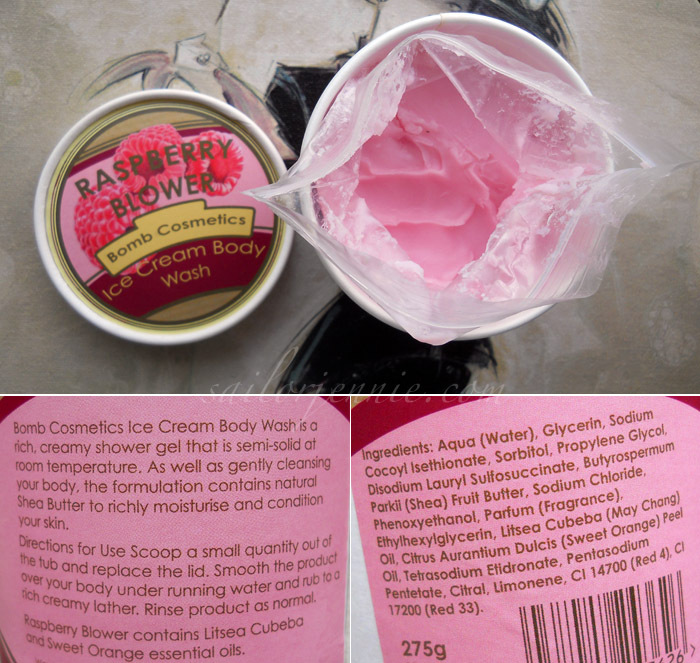 Ooo I've never been on this website, the body wash look almost good enough to eat :P I'm off to check out their range now! @Amy - They're amazing! 2 coats and they're perfect! @Ashley Rose - They're really lovely polishes to work with! @Aysha Frost - It definitely is! Smells exactly like mint choc chip ice cream! @Laura - The body washes are amazing, really lovely! @Lauren - I'm sure you'll love it! There's something for everyone on there!